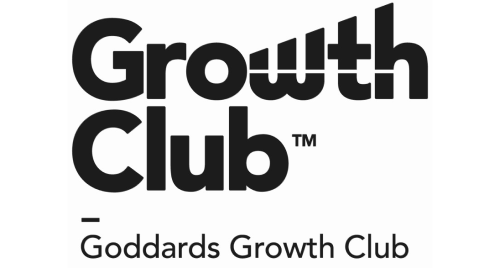 I am delighted to announce the launch of the first ever Goddards Growth Club. The Club is for existing business clients and the wider business community of Surrey. Its focus is to help ambitious business owners and entrepreneurs to bridge the gap between marketing and growth. In other words, the Growth Club takes a business owner through the step-by-step process of creating marketing that actually works. The result is a steady influx of new clients, customers or patients. We have worked with hundreds of business owners, helping them to build better more successful businesses. But often the missing link in many businesses achieving their true potential is creating marketing that actually works and gets results. Marketing that helps to get more sales and more customers. Many clients despair that they spend thousands on ineffective marketing and we wanted to create an environment to reverse this growing trend. So we looked for a partner with the right level of expertise and experience in this area and working with The Core Asset, one of the world’s leading business growth coaching organisations has helped us bring this project to life. The Goddards Growth Club is an affordable way for our clients and the local business community to finally create marketing that works and do it in a fun environment where they can meet like-minded people. To ensure the Club is affordable for virtually every client and local business, we have subsidised membership of the Club, so business owners invest 50% less to join the Club. Plus, because we’re so Convinced the club will have a major impact on everyone who joins, membership comes with a 12 month money-back guarantee.